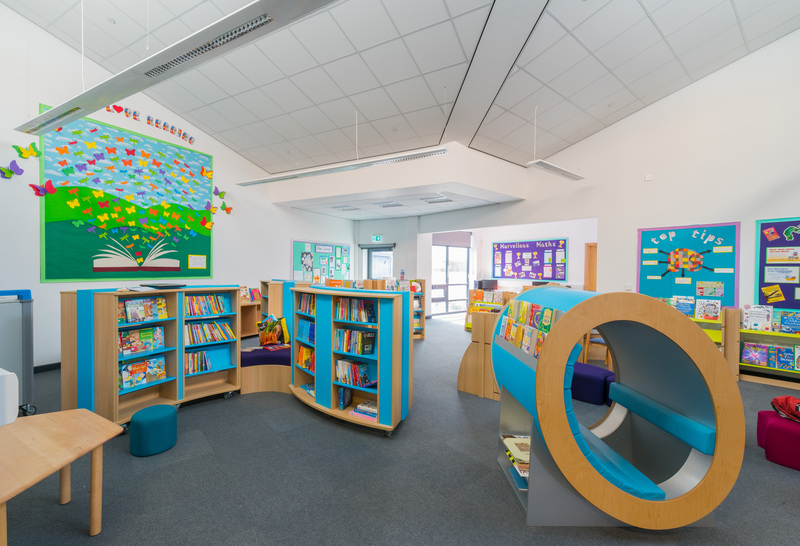 This new school, constructed in two phases, provides facilities for a 420 place two form of entry primary school together with an Out of School Club and a 56 place Pre-School unit. 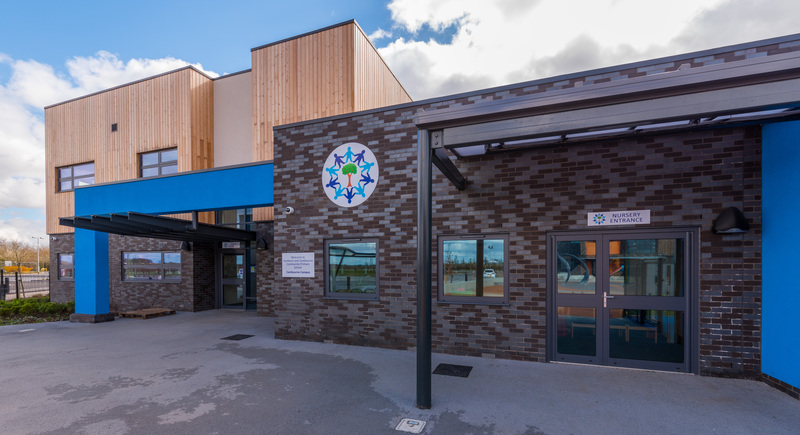 It is Cambourne’s forth primary school and replaces a nearby temporary school known as ‘The Blue School’ and will to serve the projected pupil placement requirements for Lower Cambourne. Situated to the North West of Lower Cambourne it is located adjacent the recently opened Cambourne Village College and is bounded by open farmland to the south and west with clear views north across to the A428. 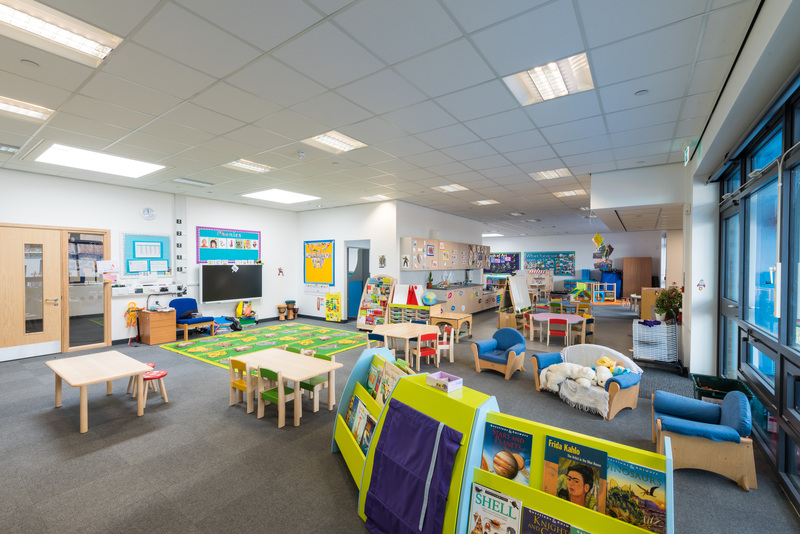 Working within a site wide master plan for a Cambourne Education Campus the design fulfils the operational, educational and aspirations of Cambridgeshire County Council and the school’s sponsor; Hardwick Primary School. 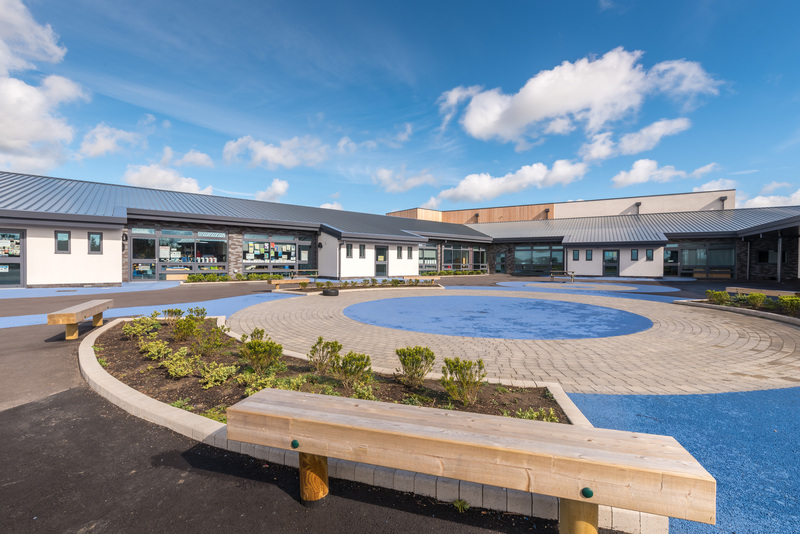 Developed as a cohesive whole, both the Secondary and Primary schools are positioned around a central plaza and use a similar palette of materials and common massing.